Arches National Park preserves over 2,000 natural sandstone arches—the world's largest concentration—including the world-famous Delicate Arch, in addition to a variety of unique geological resources and formations near the city of Moab, Utah. The area, administered by the National Park Service, was originally designated as a national monument on April 12, 1929. It was redesignated a U.S. National Park on November 12, 1971. The Park's 119 square miles (309 km²) of spire-filled desert forms a quilt of contrasting colors, landforms and textures that cannot be compared to any other in the world. Arches National Park lies atop an underground salt bed, which is the main cause of the formation of the arches and spires, balanced rocks, sandstone fins, and eroded monoliths in the area. Thousands of feet thick in places, this salt bed was deposited over the Colorado Plateau some 300 million years ago when a sea flowed into the region and eventually evaporated. Over millions of years, the salt bed was covered with residue from floods and winds and the oceans that came in intervals. Much of this debris was compressed into rock. At one time this overlying earth may have been one mile thick. Delicate Arch, one of the most famous arches in the park. Salt under pressure is unstable, and the salt bed below Arches was no match for the weight of this thick cover of rock. Under such pressure it shifted, buckled, liquefied, and repositioned itself, thrusting the Earth layers upward into domes. Whole sections fell into cavities. In places they turned almost on edge. Faults occurred. The result of one such 2,500-foot displacement, the Moab Fault, is seen from the park's visitor center. As this subsurface movement of salt shaped the Earth, surface erosion stripped away the younger rock layers. Except for isolated remnants, the major formations visible in the park today are the salmon-colored Entrada Sandstone, in which most of the arches form, and the buff-colored Navajo Sandstone. These are visible in layer-cake fashion throughout most of the park. Over time, water seeped into the superficial cracks, joints, and folds of these layers. Ice formed in the fissures, expanding and putting pressure on surrounding rock, breaking off bits and pieces. Winds later swept out the loose particles. A series of free-standing fins remained. Wind and water attacked these fins until, in some, the cementing material gave way and chunks of rock tumbled out. Many damaged fins collapsed. Others, with the right degree of hardness and balance, survived despite their missing sections. These became the famous arches. Dark Angel—a free-standing column of dark stone at the end of the Devil's Garden trail. Petrified dunes—petrified remnants of sand dunes blown from the ancient lakes that covered the area. Arches National Park is described as "monolithic, austere and unadorned." It is able to remain in this state due to the lack of water in its desert home. This same lack of water has an effect on the plant and animal life within the park as well. There are in excess of 200 species of vertebrates and hundreds of invertebrate species living within the boundaries of the park. Many of the land animals seek shelter during the day, coming out in the evening in search of food. Oftentimes, snakes can be seen lying across the road in the last rays of the day in order to soak up heat, which they need for energy in the search of sustenance. 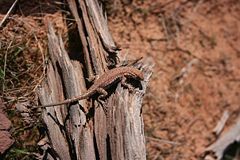 Animals common to the park include: spadefoot toad, scrub jay, peregrine falcon, many kinds of sparrows, red Fox, kangaroo rat, mountain lion, midget faded rattlesnake, yucca moth, many types of cyanobacteria, Western rattlesnake, and the Western collared lizard. Larger mammals include the coyote, gray fox and mule deer. Bighorn sheep, once native to the park, were wiped out in the early twentieth century. They were reintroduced in 1985 and 1986, and appear to be thriving. As with the Park's animal life, the diversity of plant life at Arches is impressive, but not obvious. Plants that dominate the landscape include: prickly pear cactus, Indian ricegrass, bunch grasses, cheatgrass, lichen, moss, liverworts, Utah juniper, Mormon tea, blackbrush, cliffrose, four-winged saltbrush, pinyon pine, stemless woollybase, evening primrose, sand verbena, yucca, and sacred datura. Humans have occupied the region of Arches National Park since the last ice age 10,000 years ago. Fremont people and Ancient Pueblo People lived in the area until about 700 years ago. Spanish missionaries encountered Ute and Paiute tribes in the area when they first came through in 1775, but the first European-Americans to attempt settlement in the area were the Mormon Elk Mountain Mission in 1855, who soon abandoned the area. 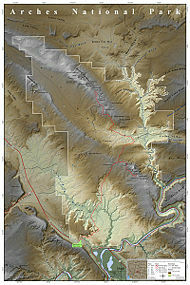 Ranchers, farmers, and prospectors later settled Moab in the neighboring riverine valley in the 1880s. Word of the beauty in the surrounding rock formations spread beyond the settlement as a possible tourist destination. The Arches area was first brought to the attention of the National Park Service by Frank A. Wadleigh, passenger traffic manager of the Denver and Rio Grande Western Railroad. Wadleigh, accompanied by railroad photographer George L. Beam, visited the area in September 1923 at the invitation of Alexander Ringhoffer, a Hungarian-born prospector living in Salt Valley. Ringhoffer had written to the railroad in an effort to interest them in the tourist potential of a scenic area he had discovered the previous year with his two sons and a son-in-law, which he called the "Devil's Garden" (known today as the "Klondike Bluffs"). Wadleigh was impressed by what Ringhoffer showed him, and suggested to Park Service director Stephen T. Mather that the area be made a national monument. The following year additional support for the monument idea came from Laurence M. Gould, a University of Michigan graduate student studying the geology of the nearby La Sal mountains, who was shown the scenic area by retired local physician Dr. J.W. "Doc" Williams. A panoramic view of sandstone fins of the Fiery Furnace. A panoramic view of Tower of Babel. A succession of government investigators examined the area, in part due to confusion as to the precise location. In the process the name "Devil's Garden" was transposed to an area on the opposite side of Salt Valley, and Ringhoffer's original discovery was omitted, while another area nearby, known locally as "The Windows," was included. Designation of the area as a national monument was supported by the Park Service beginning in 1926, but was resisted by President Calvin Coolidge's Interior Secretary. Finally in April 1929, shortly after his inauguration, President Herbert Hoover signed a presidential proclamation creating Arches National Monument, consisting of two comparatively small, disconnected sections. The purpose of the reservation under the 1906 Antiquities Act was to protect the arches, spires, balanced rocks, and other sandstone formations for their scientific and educational value. 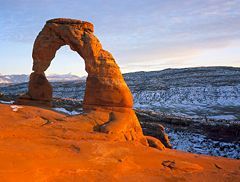 The name "Arches" was suggested by Frank Pinkely, superintendent of the Park Service's southwestern national monuments, following a visit to the Windows section in 1925. In late 1938, President Franklin D. Roosevelt signed a proclamation which enlarged the Arches to protect additional scenic features and permit development of facilities to promote tourism. 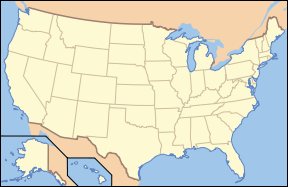 A small adjustment was made by President Dwight Eisenhower in 1960 to accommodate a new road alignment. In early 1969, just before leaving office, President Lyndon B. Johnson signed a proclamation substantially enlarging the Arches. Two years later President Richard Nixon signed legislation enacted by Congress which significantly reduced the area of Arches, but changed its status to a National Park. American writer Edward Abbey was a park ranger at Arches National Monument. He was an essayist noted for his advocacy of environmental issues and criticism of public land policies. One of his best-known works was "Desert Solitaire," published in 1968 and centered around the author's activities as a park ranger at Arches National Monument. The book is often compared to Thoreau's Walden. The success of this book, as well as the rise in adventure-based recreation, has drawn many hikers, mountain-bikers, and off-road enthusiasts to the area, but activities are limited within park boundaries: camping, foot hiking (along designated trails), and driving only along marked roads. "All rock climbing or similar activities on any arch or natural bridge named on the United States Geological Survey 7.5 minute topographical maps covering Arches National Park are prohibited." Climbing of other features in the park is allowed, but regulated. The revised regulations also prohibit slacklining parkwide. Approved recreational activities include auto touring, backpacking, biking, camping, and hiking, some of which require permits. There are also guided commercial tours and ranger programs. ↑ American Park Network Flora and fauna Retrieved June 3, 2008. ↑ Lisa J. Church, Park tweaks rules after Delicate Arch climb Salt Lake Tribune. Retrieved May 10, 2006. Abbey, Edward. 1968. Desert solitaire; a season in the wilderness. New York: McGraw-Hill. American Park Network. Flora and fauna Retrieved June 3, 2008. Lohman, Stanley William. 1975. 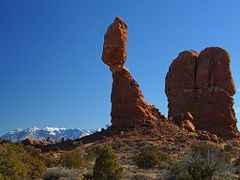 The geologic story of Arches National Park. Washington: For sale by the Supt. of Docs., U.S. Govt. Print. Off. Utah Travel Industry. Arches National Park Retrieved June 3, 2008. History of "Arches National Park"
This page was last modified on 11 April 2016, at 15:39.